Africa just lost a giant… the world just lost a literary genius. 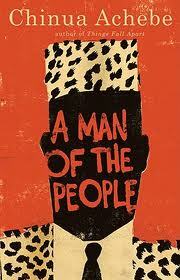 Chinua Achebe was made of the cloth of kings. He was the emperor of words and just made reality seems so funny. He wrote in English, but yet made it his own; he made it African. Please hear the maestro in his own words. “Age was respected among his people, but achievement was revered. As the elders said, if a child washed his hands he could eat with kings.” – Things Fall Apart. “The white man is very clever. He came quietly and peaceably with his religion. We were amused at his foolishness and allowed him to stay. Now he has won our brothers, and our clan can no longer act like one. 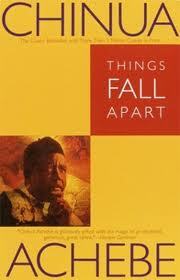 He has put a knife on the things that held us together and we have fallen apart,” – Things fall Apart. “It is sometimes good to be brave and courageous, but sometimes it is better to be a coward. We often stand in the compound of the fool and point at the ruins where a brave man used to live. He who has never submitted to anything will one day submit to his burial mat.” – Things fall apart. “While we do our good works let us not forget that the real solution lies in a world in which charity will have become unnecessary.” – Anthills of the Savannah. “We cannot trample upon the humanity of others without devaluing our own. The Igbo, always practical, put it concretely in their proverb Onye ji onye n’ani ji onwe ya: “He who will hold another down in the mud must stay in the mud to keep him down.” – The Education of a British-Protected Child: Essays. “‘It’s true that a child belongs to its father. But when a father beats his child, it seeks sympathy in its mother’s hut. A man belongs to his fatherland when things are good and life is sweet. But when there is sorrow and bitterness he finds refuge in his motherland. Your mother is there to protect you. She is buried there. And that is why we say that mother is supreme.” – Things fall Apart. “Unfortunately, oppression does not automatically produce only meaningful struggle. It has the ability to call into being a wide range of responses between partial acceptance and violent rebellion. In between you can have, for instance, a vague, unfocused dissatisfaction; or, worst of all, savage infighting among the oppressed, a fierce love-hate entanglement with one another like crabs inside the fisherman’s bucket, which ensures that no crab gets away. This is a serious issue for African-American deliberation…. To answer oppression with appropriate resistance requires knowledge of two kinds: in the first place, self-knowledge by the victim, which means awareness that oppression exists, an awareness that the victim has fallen from a great height of glory or promise into the present depths; secondly, the victim must know who the enemy is. He must know his oppressor’s real name, not an alias, a pseudonym, or a nom de plume!” – The Education of a British-Protected Child: Essays. Tributes are pouring out from all corners of the world. Truly to have written a book which has been translated in over 50 languages is a great achievement for an African, and for anybody in this world. To boast over 20 literary works is amazing. As the Igbo proverb says: ” it is simply impossible for an iroko tree to fall and the forest to remain quiet.” A giant left us today, but his fingerprints will remain forever. If the nobel prize was made to celebrate excellence, Chinua Achebe, should have certainly gotten it. Today his work is celebrated in every corner of the world! Merci pour ce post, grand frere. Il va nous manquer. I dоn’t evеn know the way I finished up right heгe, however I assumed this ρost was great. I don’t гealize who yoou aгe however certainly you’re going to be a famous blogger if yօu aгe not already. Cheeгs!